If you are looking to invest in some solar, wind or alternative energy to power your off the grid home then here is some useful resources for you. Wholesale Solar - a website which deals in discount solar panels and battery systems, whether you just want something small or a complete system for your home. Located in California. Apex Solar - Apex sells both components and fully integrated commercial / residential energy systems powered by solar, wind, hydro, backup generators, and batteries specifically designed to work together. Solid Solar - A company from India which offers large scale commercial solar systems - built cheaply but with solid technology. Ontario Solar Provider - A local Ontario company that builds and installs solar panels for homes. 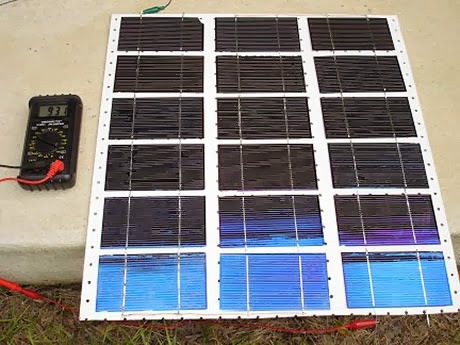 Paid 4 Power DIY Solar Kits - An Ontario company that makes DIY kits so you can more easily assemble your own solar panels. Or you could just build your own. Although it is easier (and sometimes necessary) to buy some of the components.